Each time I visit a new area I inevitably return with a multitude of jars full of new condiments, jams and tapenades to try. 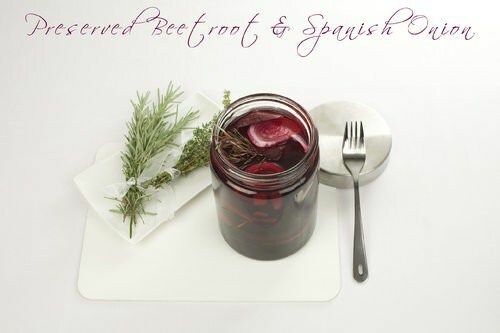 But today’s recipe is brought to your by my garden and Nan’s expertise to create Preserved Beetroot & Spanish Onion. At home, I rarely even consider trying to concoct these items myself. I see preserves pickles, and relish as being a little scary, and needing special expertise. But now that my vegetable and herb garden is growing madly I’ve had to reconsider how I planned to use this extra supply of vegetables. Preserving seemed to be the best option for some of the items, but it is also a bit of a lost art. After a few moments thought I realized the best person to go to for this “no how” was my Nan. Nan is no slouch in the kitchen, she has always been an awesome cook, and she taught me how to bake, so I knew I would be in great hands. Today’s lesson is beetroot. Nan’s recipe goes a little beyond boring beets, and uses some red onion and a few other bits and pieces. 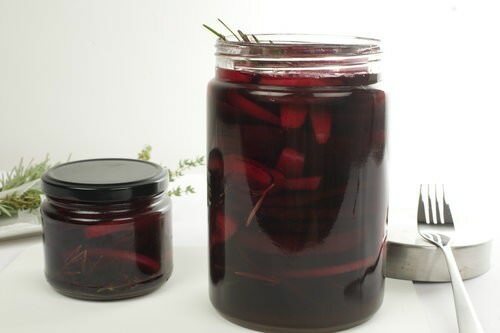 Be assured you will know you’re onto something a little out of the ordinary when you open a jar of home made, home grown Preserved Beetroot. Sterilise the glass jars and lids by boiling them in water for 5 minutes. Place the beetroot in a saucepan of water and boil. The saucepan should be large enough that the water is covering the majority of the beetroot. 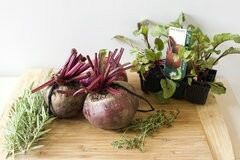 Boil the beets for about ½ hour depending on their size. 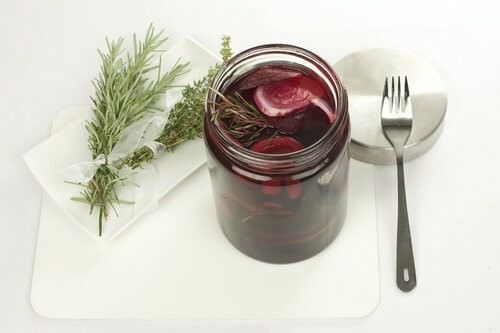 Place cooked beets in cold water and remove the skin and tops with fingers. Slice or dice the beetroots as desired. In another saucepan add the brine ingredients and bring to the boil. Stir to dissolve the sugar and add two of the rosemary sprigs. Continue to boil for another 2 minutes. 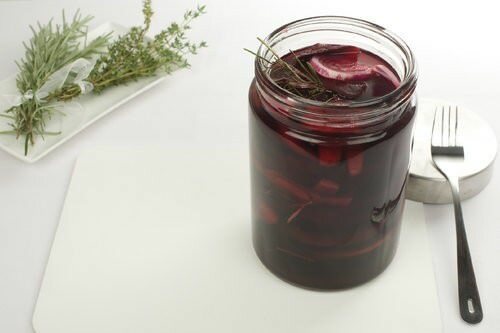 In a glass jar make repeating layers of the beetroot, onion, thyme and rosemary until the jars are full. 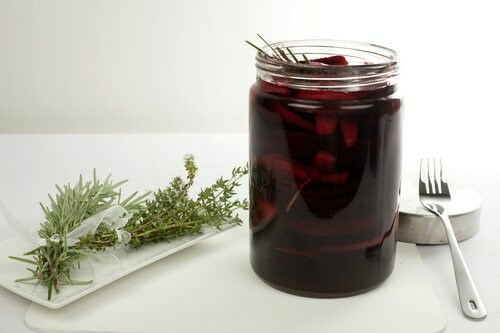 Once the jars are full pour the slightly cooled brine over the beets to the top of the jar. Seal the jar whilst hot. To create a vacuum place the jars in boiling water until the pressure seal pops back in. Note: If you plan to use the beetroot in a salad, cut the beetroot into large cubes instead of slices.